Teachers have bad days too! If you are not a believer in astrology, or at least how the natural world impacts life, please feel free to come visit my classroom, or pretty much any classroom, during a full moon. You will believe! Between the full moon, report cards, new standardized assessments, evening trainings, teaching college class, being told you just weren't good enough, family drama, and the heater at home dying, let's just say it was not my week. From early college days, teachers are ingrained with the mentality of "fake it until you make it". You can't let the kids see your emotions. Whatever happens in your life, it stays outside the classroom door. Usually, I'd say that I'm pretty good at doing this. I'm pretty good at putting on a game face. I'm pretty good at smiling and staying positive on the outside while the inside is frowning and discouraged. That was not the case this week. I failed at the faking. I was discouraged on the inside and it showed on the outside. As I've been writing this post, I've went back and forth if I will hit the "publish" button. I like to keep it positive on my blog, sharing my passion for teaching and education. 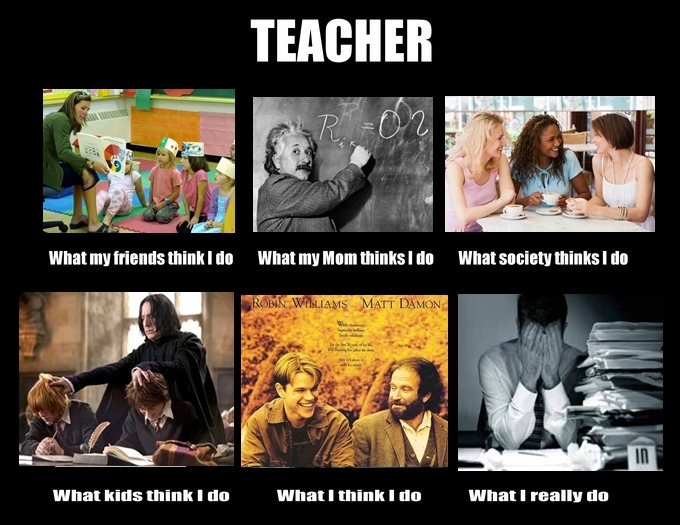 But, I also want to be real and the truth is that teachers are real people too. Real people who sometimes have bad days weeks. This morning, I participated in #satchat, an educational twitter chat that takes place on Saturday morning. As I was chatting with people in my PLN (personal learning network) I could feel myself becoming inspired. These are people who "get" what I do. As I listened to all the amazing things that were happening in classrooms/schools around the country and the world, I became encouraged. I started sharing the positive of what happened in my classroom this week (because even though there were some doozies, there were also some awesome things that happened in room 1201) and felt like a weight was being lifted. So this week I'm ready to go back in. I will share my love for teaching and learning! Because teaching is my passion!